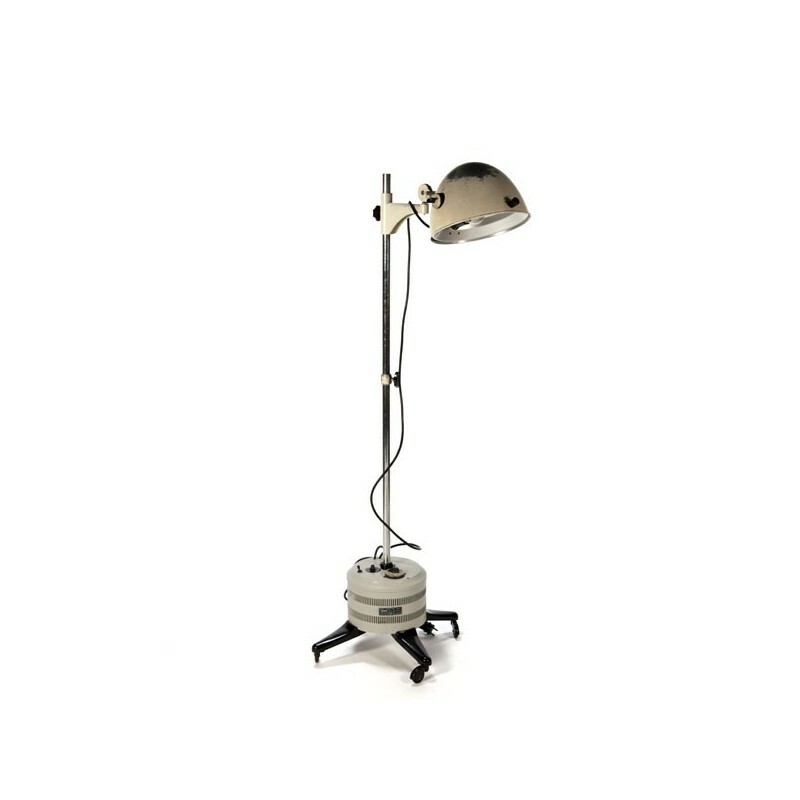 Vintage floor lamp from the fifties of the last century. 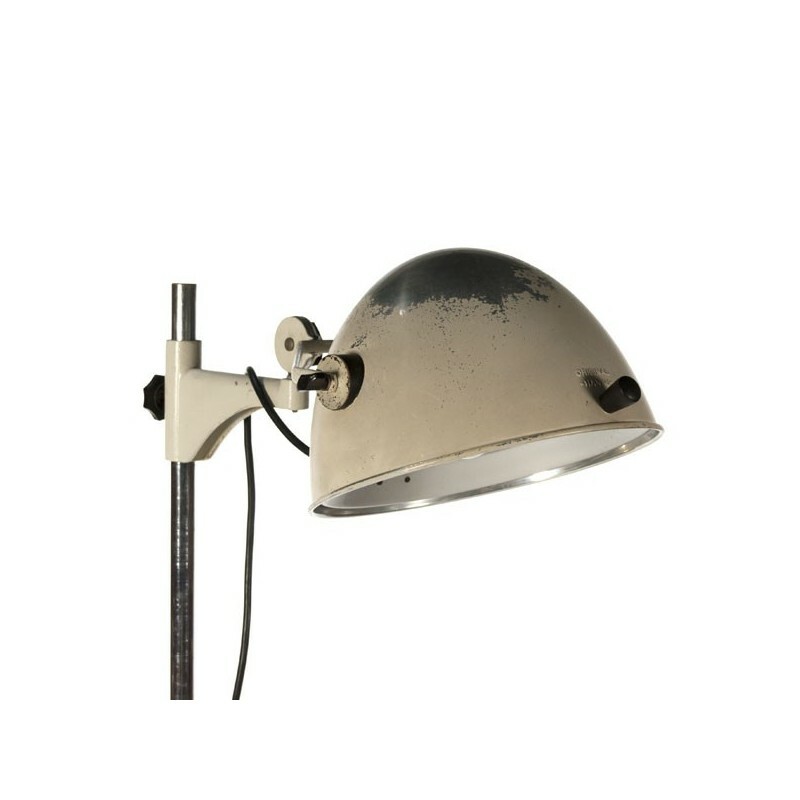 The industrial lamp is the brand Hanau and has a large metal cap. The lamp is converted to a normal light bulb (possibly also saving or LED). The condition is good, but there are obviously visible wear what the design only strengthened by this type of lamp, for example the paint of the lamp-shade is parially peeled off . 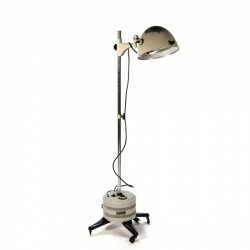 The dimensions are 151 cm high, the arm with the cap is 53 cm long.